You’ve heard of the dangers of a sedentary lifestyle, but how do you take precautions against its negative effects when you’re driving for hours at a time each day? We spoke to Frederick Khoo, a certified physiotherapist from Precise Rehab to get his advice on what driver-partners can do to stay healthy while driving. Instead of checking your messages in between jobs, why not use the time to do some simple exercises in the car? Make sure you’re parked in a safe spot with the parking brakes applied before you attempt any of these exercises. Use your right hand to press your head down to the right. Nod your head back and forth a few times for 20 seconds. Keeping your back straight, rotate your body to the left, away from your right arm. Hold the position for 20 seconds. Keeping to the same position in Step 3, rotate your body to the right and to the left for 10 reps.
Push your seat back and move your body to the front, leaving a gap between your back and the back of your seat. Place your hands on your knees. Round your back and squeeze your abs. Once you come up, bring your arms to the back and hold the back of the seat. Arch your chest outwards and push your chest towards the front. When you’re done, round your back again and hold the steering wheel in front of you. Precise Rehab is a centre that provides sports rehabilitation, clinical pilates, corrective exercise, and treatment services. It was founded by a team of physiotherapists that collectively have over 14 years of experience. Last month, Grab and Malaysia Federation of the Deaf (MFD) hosted a get-together for our deaf driver-partners to celebrate the International Week of the Deaf and #BreakTheSilence! Here are some of our favourite moments from that day. 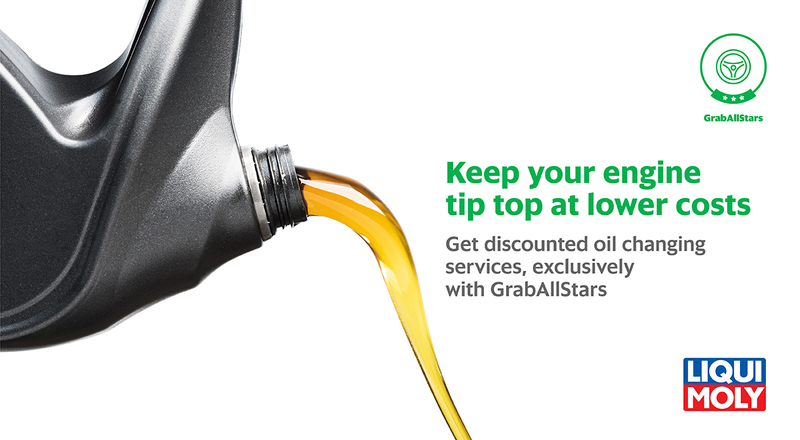 GrabAllStars is a programme that provides benefits to driver-partners, through a wide selection of merchants. This includes cheaper pricing to reduce your daily expenses.